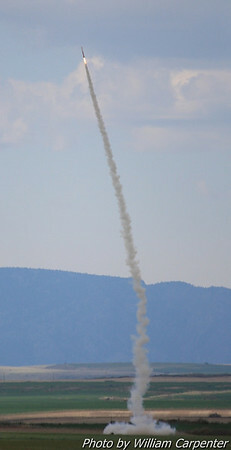 My photos from another day of challenging lighting at Fire in the Sky 2012. 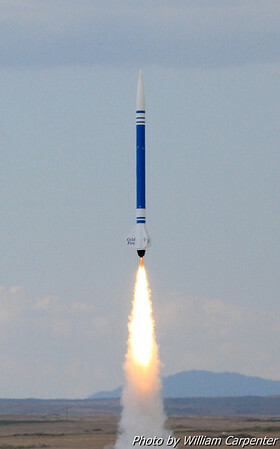 Although I attended the launch on Monday, I didn't take any photos. 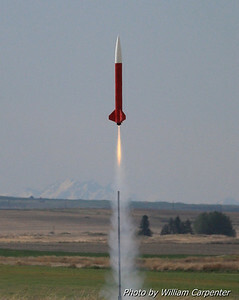 Vern Knowles' "Angelfire" on an M1500 with Kate, the data reporting rocket girl, on board. 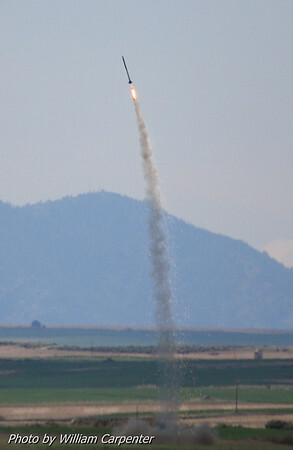 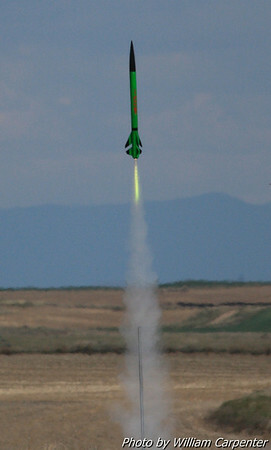 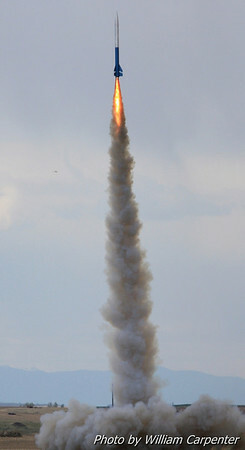 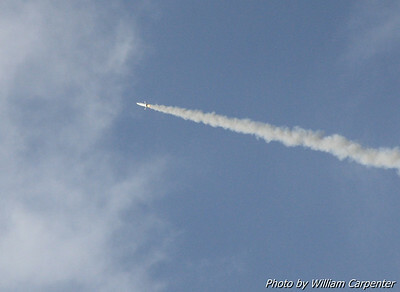 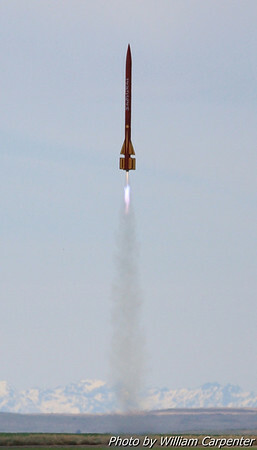 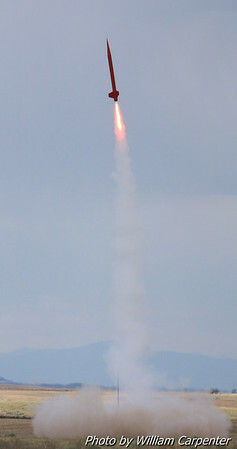 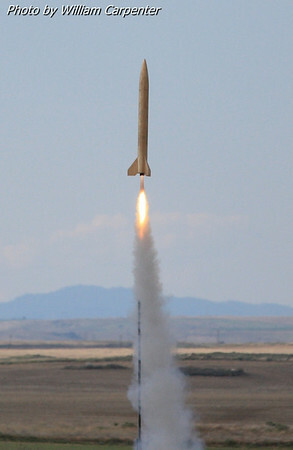 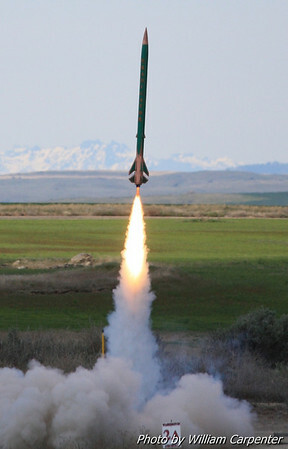 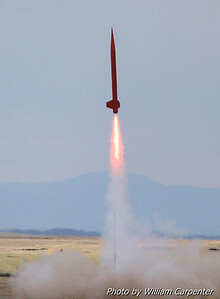 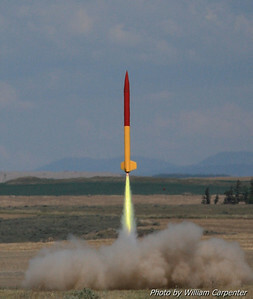 An upscaled Estes Satellite Interceptor lifts off on a Level Two certification attempt. 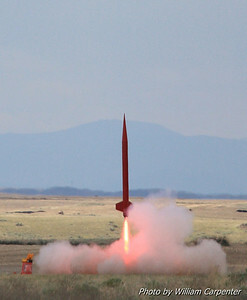 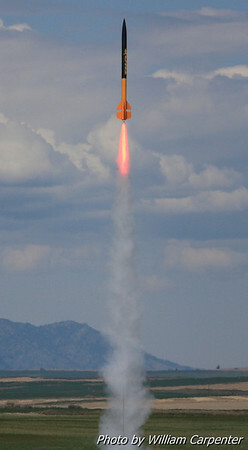 A very orange rocket lifts off on a Level One certification attempt. 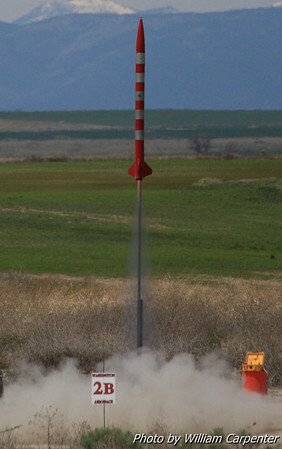 The rocket recovered safely on the racetrack for a successful certification. 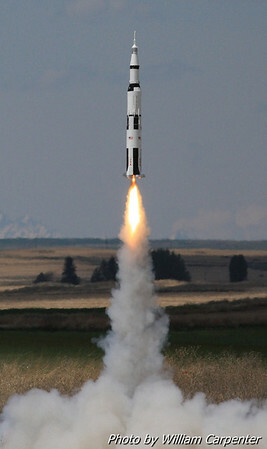 Tim Doll's scale Saturn V.
A K1100 flight from the away cell. 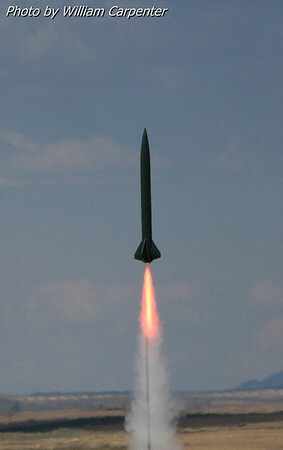 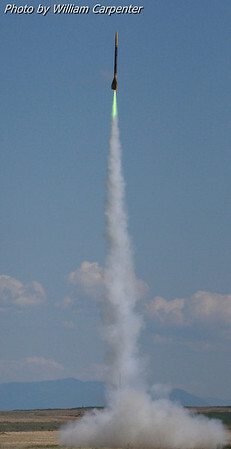 "Hold the mayo" lifts off from the keyhole on an M1500 Mojave Green. 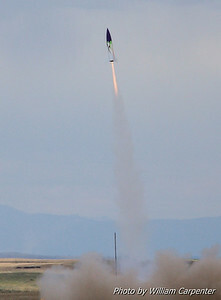 "Air Traffic Control" on an I154. 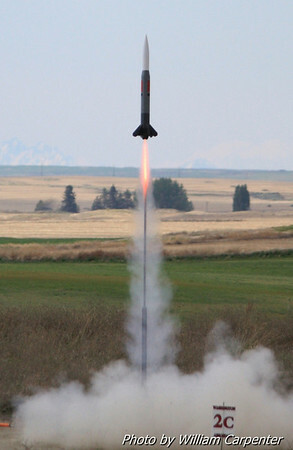 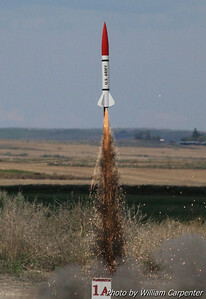 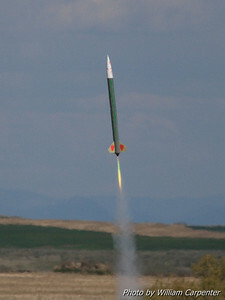 My Madcow Rocketry 4" Little John on a Cesaroni H123 Skidmark, my first sparky motor flight. 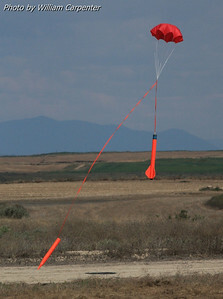 Recovery of the Little John. 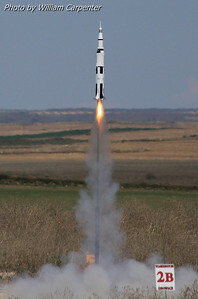 Another Saturn V from Tim Doll. 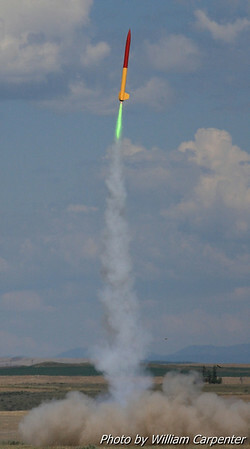 Dale Woodford's "Duck Dodgers" from the keyhole. 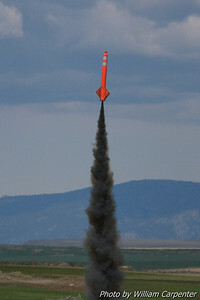 Vern Knowles' "Coldfire" with Kate on board. 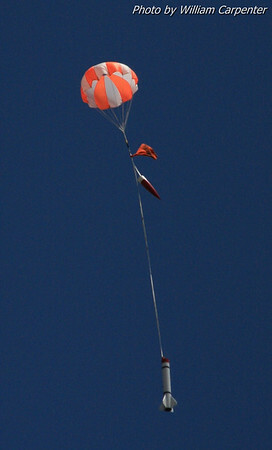 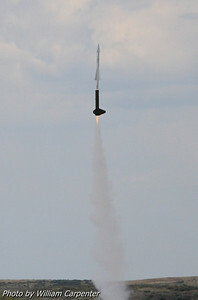 A PML Endeavor flying on a central Cesaroni Red Lightning L motor with J-impulse Smoky Sam motors clustered around it. 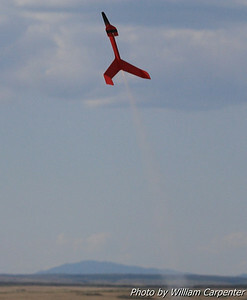 Mark Lyons's "Iron Horse" from the away cell on a K185. 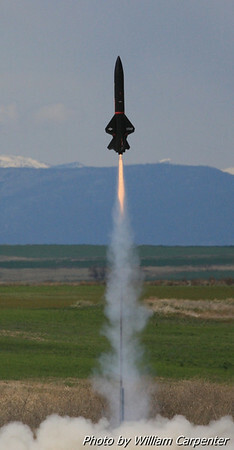 A Wildman Darkstar lifts off on a Level Two certification attempt. 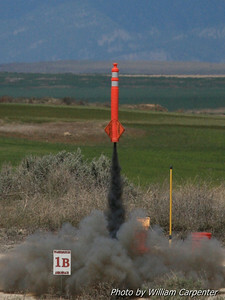 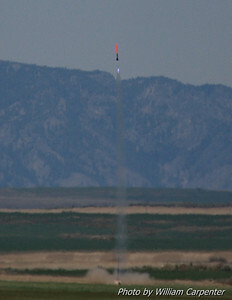 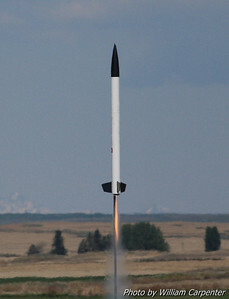 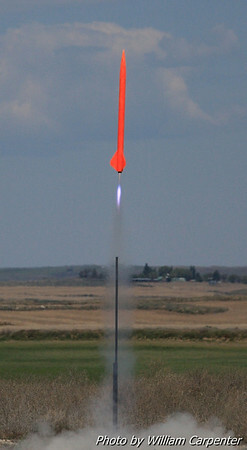 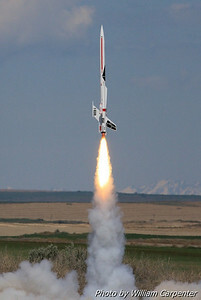 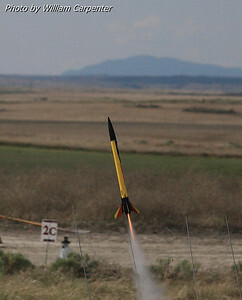 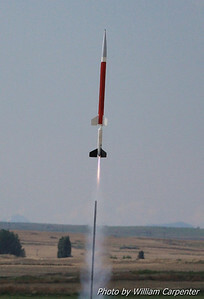 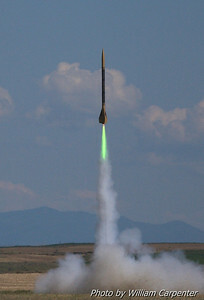 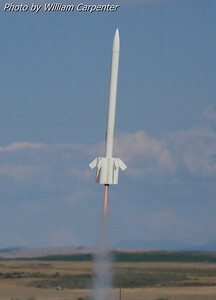 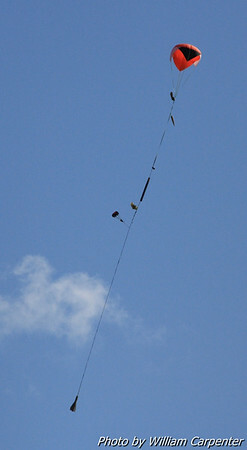 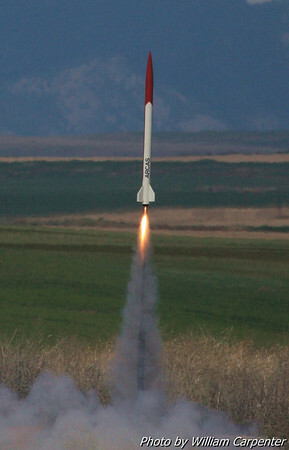 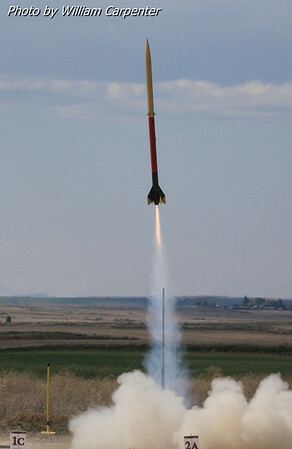 Liftoff on a two-stage Aerobee Hi. 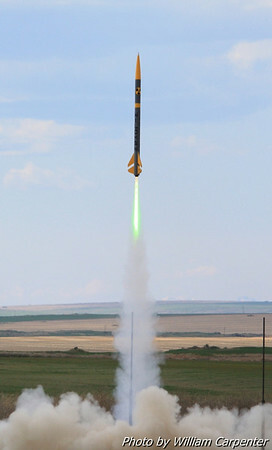 Successful staging on the Aerobee. 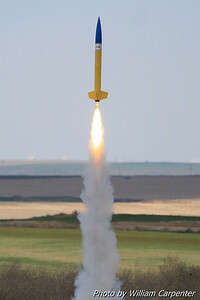 A boost glider lifting off from the model pads.